Bella Gilet by Olivia Tullett®. 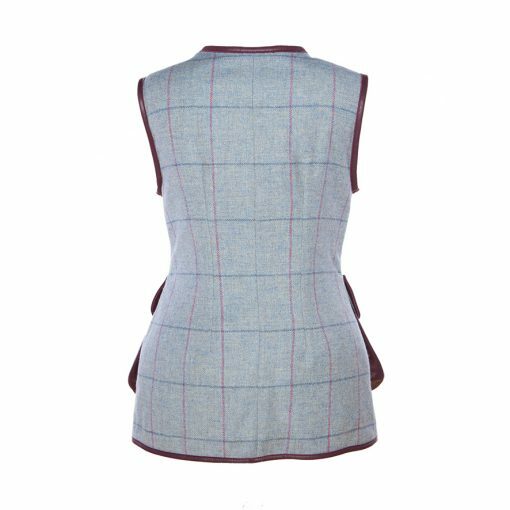 The “Bella” gilet is Olivia Tullett®’s signature design. 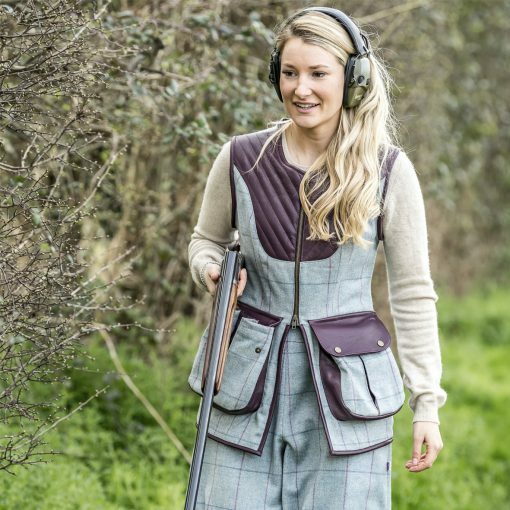 Fabulously flattering and perfectly practical, the “Bella” is the key piece to any shooting lady’s wardrobe. Created for ladies who shoot by a lady who shoots means this gilet is not only practical but stylish with aspects of the design and fit unique to Olivia Tullett®. 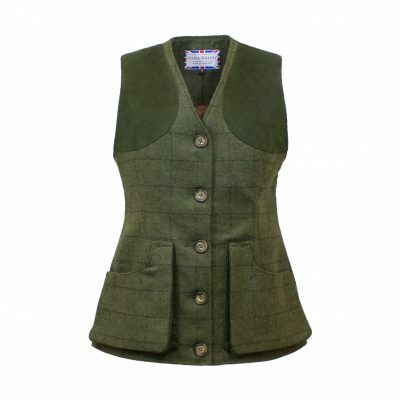 The “Bella” comes in three colour options and is made with Teflon coated tweed as well as having a waterproof lining. 100% British Made. Made with high quality materials. 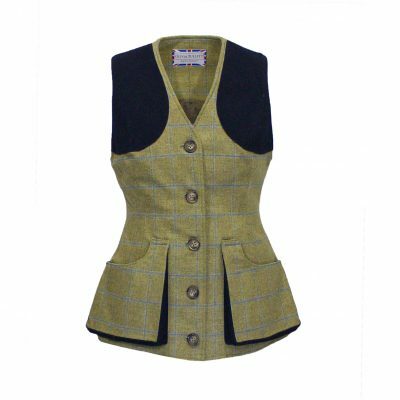 To ensure high quality products we individually cut both the tweed and leather for each of our Bella gilets. 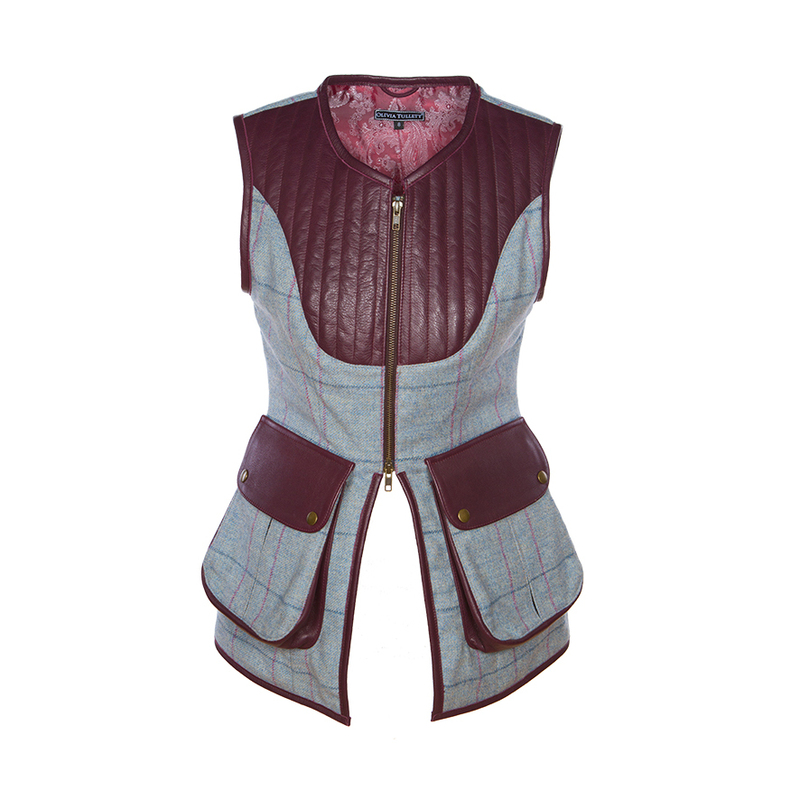 Front padded leather patches on our “Bella” gilets are not only a design feature but are there for a purpose. They create a light padding to absorb the recoil of a gun. (Extra padding may be required underneath the garment*.) The angle of the stitching not only holds the padding in place under the leather, it creates a visually more feminine angle across the upper torso. Finally, we the padding is applied to both the left and right hand side shoulders. This is to allow for both left-handed and right-handed ladies users. 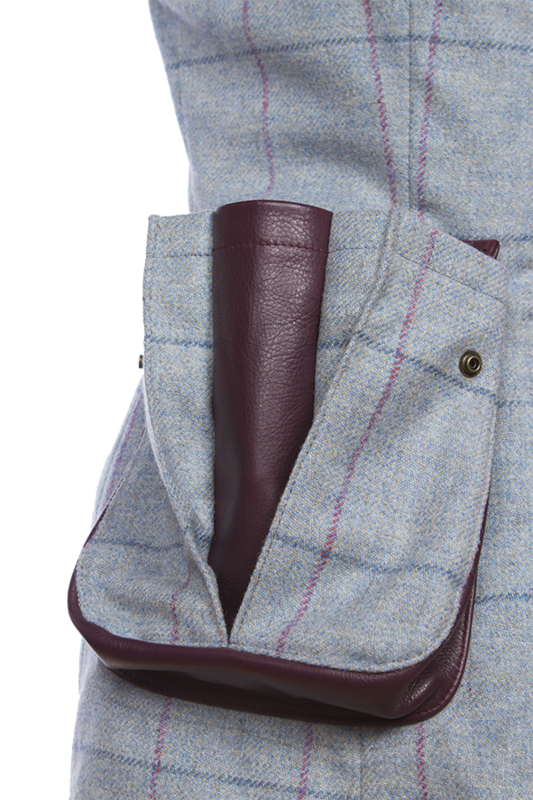 One of the features unique to Olivia Tullett® is our cartridge pocket design. This is the result of many prototypes and development over a 5 year span. This pocket design is created with enough space for up to 50 cartridges* per pocket. 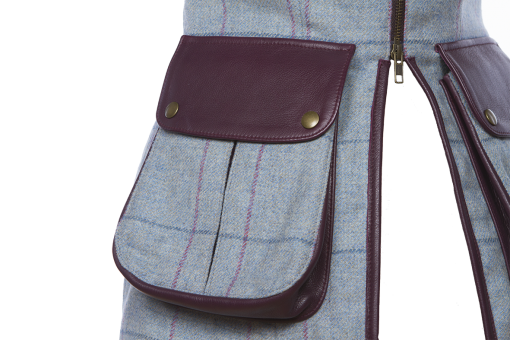 The combination of leather and reinforced tweed enables the pocket to hold a good amount of weight. 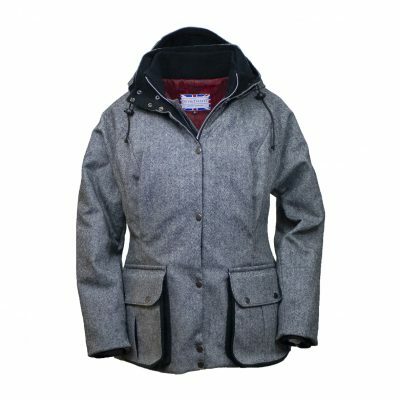 The front vent allows the pocket to expand fully with ease. Many pocket designs with top flaps are designed with a tab that hold the flap up and out of the way. Our design is different and in fact the side structure of the pockets inside creates a gap where the top flap folds in and sits completely out of the way to make loading much easier. All colours are available in UK sizes 8-22. *Please be aware that some gilets are made to order due to varying order volumes throughout the year and can take anywhere up to two weeks from order date to delivery.